Lausanne (SUI), 25 July 2011 – Para-Equestrians bidding to compete at the London 2012 Paralympic Games can now apply for funding as part of a brand new grant scheme to help with training expenses. Eurovestech plc, the pan-European development capital fund, has put up a €25,500 grant to support 15 equestrian athletes around the world as they prepare for London 2012. The grants, which will be distributed by the FEI, will be available to riders who have not won medals at the Paralympics, World Championships or World Equestrian Games since 2004. National Federations representing Para-Equestrians from smaller nations where funding is limited are urged to apply for the grants. The grants are available both to riders who compete on their own horses and those that compete on borrowed horses. Interested riders should contact their National Federation with their competition and training plans before 15 August 2011. 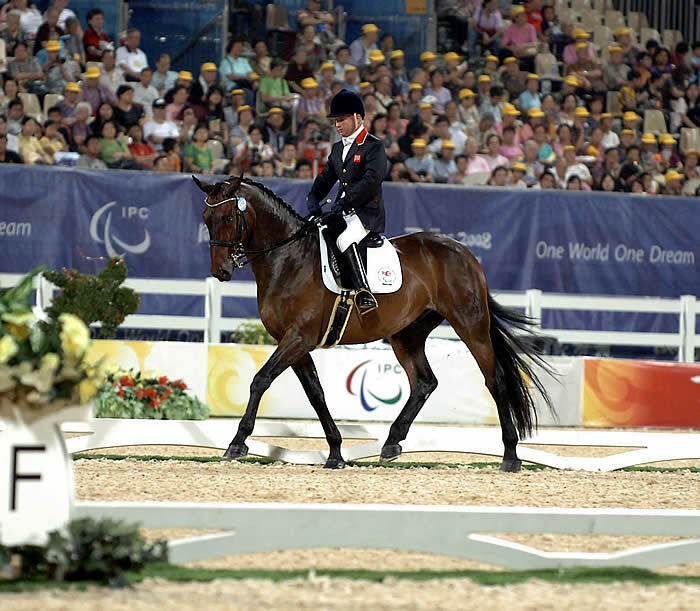 “It’s great news to hear of this initiative as the IPC is keen that a great number of athletes get the opportunity to compete at the London 2012 Paralympic Games across all sports, including Para-Equestrian,” explained Chief Executive Officer of the International Paralympic Committee Xavier Gonzalez. 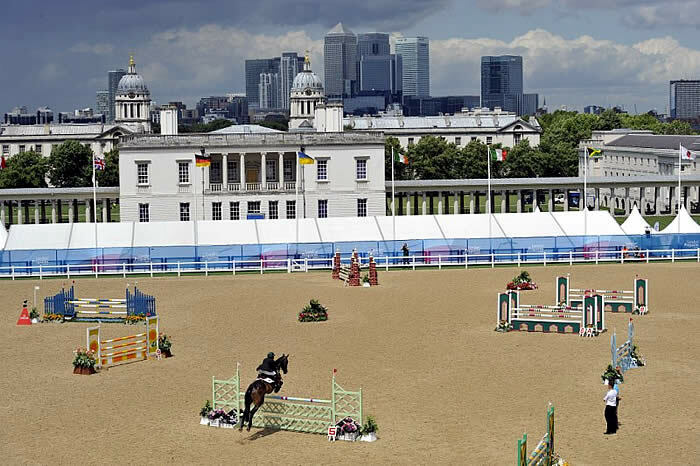 The London skyline provided the perfect backdrop to this week's Greenwich Park Eventing Invitational (CIC**) - the equestrian test event for the 2012 Olympic Games. Photo: FEI Photo Catalogue. London Prepares Series (GBR), 7 July 2011 – Greenwich Park in London (GBR) is a much quieter place today as the runners and riders, supporters, officials and most of the staff who helped create a magical atmosphere during this week’s test event have departed from the site where the equestrian Olympic Games will take place in 2012. The Greenwich Park Eventing Invitational (CIC**) has already been hailed a huge success, but after a week of hectic activity, and three days of intense competition, it is now time to reflect in the aftermath. The lasting memory for those lucky enough to be there this week is the sound of the excited school-children screaming with delight as they witnessed top-class horse sport at close quarters for the very first time. For the hardened professionals, both in the saddle and on foot performing their various essential tasks, it was a heart-warming experience. A generation of young people, who would otherwise never be exposed to the sport, were curious, enthralled and intrigued by what they saw, and they’ve shaken the foundations of a sometimes conservative world. They’ve reminded us all that horse sport isn’t just about equine talent and rider skills. It’s also about fun and entertainment, about embracing the partnership between man and horse and presenting it in a whole new light to a world of people who, given the opportunity, will learn to love it. 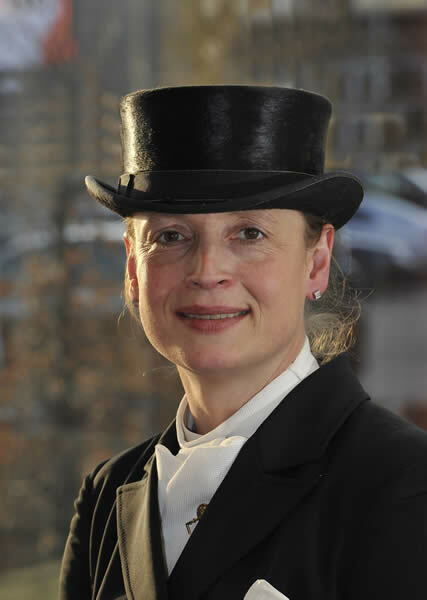 There is a sense right now that the equestrian events at London 2012 could mark the beginning of a whole new era, and how timely that will be for equestrian sport which celebrates its centenary as part of the Olympic movement next year. 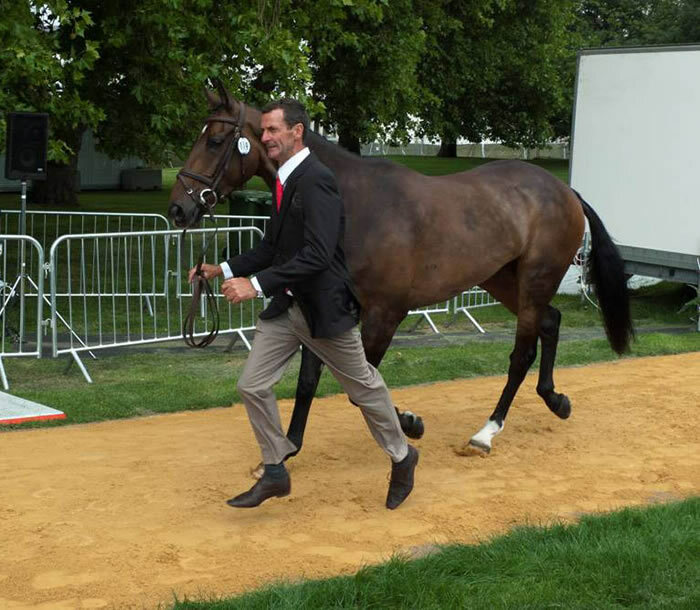 New Zealand's Mark Todd pictured presenting Viscount George, the ride of his fellow-countryman Andrew Nicholson, at the first horse inspection for the Greenwich Park Eventing Invitational (CIC**). Photo: Peter Llewellyn/FEI. Biographies of all competing riders can be found here: http://goo.gl/tqVqx. London Prepares Series (GBR), 3 July 2011 – There was a huge buzz of anticipation and excitement as the first horse inspection for the Greenwich Park Eventing Invitational (CIC **) got underway in London (GBR) this afternoon at the first LOCOG test event in the build-up to London 2012. Over the next three days, the London Organising Committee for the Olympic Games will test key aspects of the Greenwich logistics and operations in preparation for the 2012 Olympic and Paralympic Games, including the field of play, timing and scoring technology, venue installation and workforce. A total of 40 riders from 23 countries will take part in the Greenwich Park Eventing Invitational, which offers the normal grading points for an international CIC**, and which will involve Dressage tomorrow (Monday 4 July), Cross-Country on Tuesday and two rounds of Jumping on Wednesday in order to reflect the Olympic format. There will also be demonstrations of the other Olympic equestrian disciplines of Dressage and Jumping, along with Para-Dressage to further test the facilities. Lausanne (SUI), 2 June 2010 – Olympic and European Dressage champion Henri Chammartin (SUI) passed away this week at the age of 92. 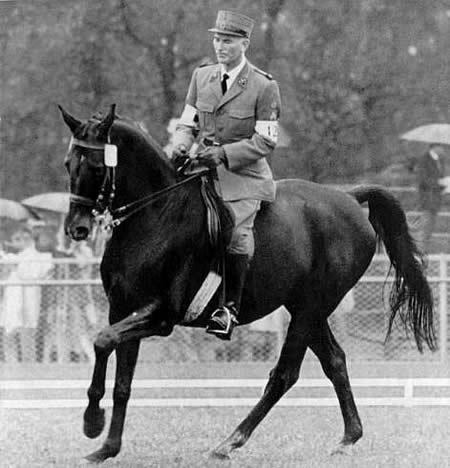 A legend in the Dressage world, he competed in five consecutive editions of the Olympic Games – Helsinki 1952, Stockholm 1956, Rome 1960, Tokyo 1964, and Mexico 1968 – winning a total of five medals. Lausanne (SUI), 31 May 2011 – Australian equestrian legend James George “Bill” Roycroft OBE passed away on Sunday 29 May at the age of 96. Bill Roycroft was one of Australia’s greatest Olympians and one of only five Australians to have competed in five consecutive Olympic Games. His Olympic début was in Rome in 1960 where he helped secure Australia’s first-ever equestrian medal – team gold in Eventing. He went on to compete in three Summer Olympics with his sons. In Tokyo (1964) he competed with his eldest son Barry, in Mexico City (1968) he was joined by Wayne where they won bronze together and in Munich (1972) he competed with youngest son Clarke. In Montreal (1976) he secured bronze with Barry and Wayne, becoming Australia’s oldest Olympic medallist and competitor at 61 years and 31 days. Bill Roycroft became an Officer of the Order of the British Empire (OBE) in 1969 for his service to sport, and was awarded an Order of Merit by the Australian Olympic Committee in 1978 for his outstanding achievement in sport. Lausanne (SUI), 15 February 2011 – The London 2012 Olympic equestrian timetable has been announced by the London Organising Committee of the Olympic Games (LOCOG). London 2012 will mark the 100th anniversary of equestrian sport in the Olympic movement. 10 August 2010 – China’s first Olympic Eventing rider Alex Hua Tian is urging the equestrian community to make its nominations for the five-category 2010 FEI Awards. Hua Tian, whom the Chinese media dubbed the “one in 1.3 billion” in the run-up to the Beijing 2008 Olympics, won the FEI’s HSBC Rising Star Award last year. The award rewards a rider aged between 14 and 21 who demonstrates significant talent and outstanding commitment. 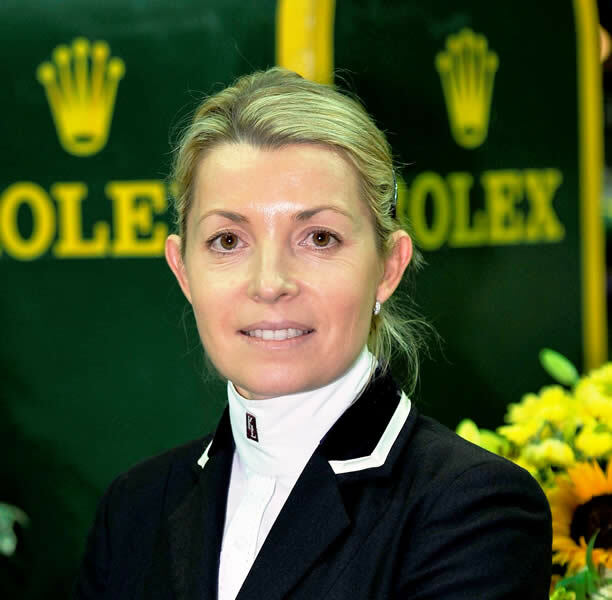 The judging panel, chaired by FEI President HRH Princess Haya, selected Hua Tian for his riding skills and the unwavering dedication that enabled him to cope with intense press scrutiny and pressure before and during the 2008 Olympic Games.